The opening ceremony of the Argentine Center was held at Yerevan State University of Languages and Social Sciences after Valery Brusov. 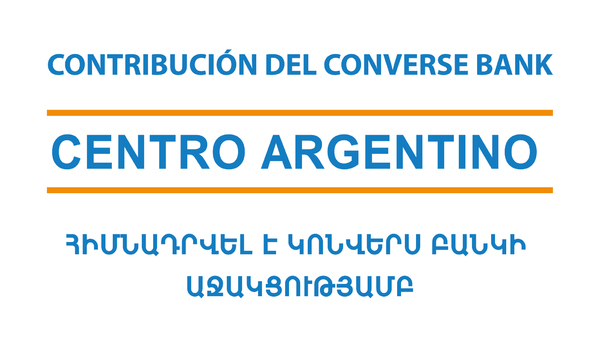 The Argentine Center was opened at the initiative of the Embassy of Argentina in Armenia. The project was supported by Converse Bank, which funded renovation, equipping and furnishing of the classroom intended for establishment of the Center. "Converse Bank emphasizes participation in projects aimed at improving the quality of education and educational environment, and has been cooperating successfully with a number of educational institutions for many years. This is another successful project implemented by us in the sector of education encouragement, which is particularly remarkable in terms of strengthening the Armenian-Argentine cultural relations", said Artur Hakobyan, Chief Executive Officer of Converse Bank. ""Recently, we have been in daily contact with Converse Bank. I would like to express my gratitude to the Bank for prompt response to all our suggestions, for their willing and considerate attitude. Improvement of the educational conditions is a great way to motivate students; I am confident that this classroom will always be full of students", - said Karine Harutyunyan, Rector of Yerevan State University of Languages and Social Sciences after Valery Brusov. It should be mentioned that in 2018, with the support by Converse Bank, the All-Armenian Tournament of Young Chemists and Sevan Startup Summit 2018 were held, and the educational conditions at two schools in Gyumri were improved. Besides, Converse Bank has a long-lasting experience of cooperation with Eurnekian School in Etchmiadzin, founded by the Bank’s principal shareholder, Argentine businessman of Armenian origin Eduardo Eurnekian.